Darlinghurst Theatre Company present, SILENT NIGHT, by Mary Rachel Brown, at the Eternity Playhouse, Burton St. Darlinghurst. 10 November - 10 December. 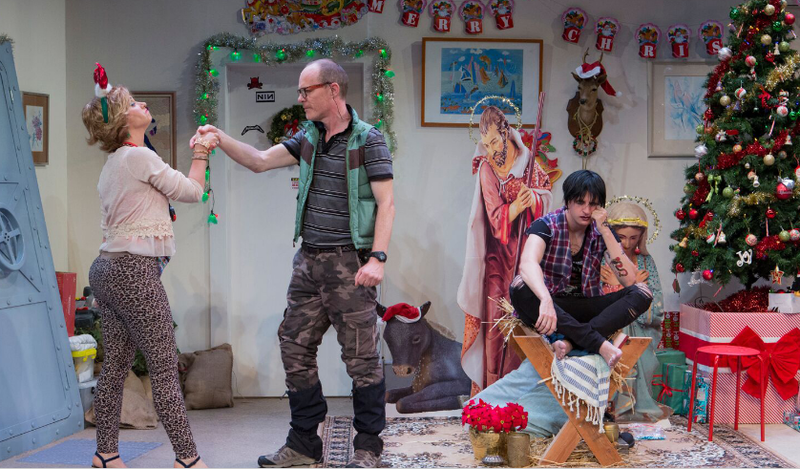 SILENT NIGHT, is a new Australian play, by Mary Rachel Brown, Directed by Glynn Nicholas. In July, 2015, this Writer and Director brought us THE DAPTO CHASER, a modest comedy/drama about working class dreams/angst in the greyhound racing industry, that has had a life touring around the country. SILENT NIGHT, tells us of a working class family, the Lickfolds, living in North Ryde - a suburb of Sydney (the one I grew up in!) - the mother figure, Anne (Amanda Bishop) invested in the local Christmas light decoration competition: the Australian Regional Christmas Excellence, ARCE, pronounced 'arse', and relentlessly so throughout the night - one of the top comic offers of the night; the father, Bill (Richard Sydenham), consumed with his doomsday rehearsal with his self built bunker; and their son, a satanist, dope smoking dropout, Rodney (Aaron Glenane) who has conjured up an Uninvited Guest (Michael Denkha), the anti-Christ, himself. The first act of the play is crammed with stupid jokes handled (desperately) by the actors. The second act is mostly a proffered satiric intrusion by the anti-Christ, pursued with an admirable essence of comedy earnestness, by Mr Denka. The Set Design by Hugh O'Connor is valiantly overloaded with the demands of the preposterous story line of Ms Brown's, and is the best offer of the night. None of the actors can save this night in the theatre, try as they do. 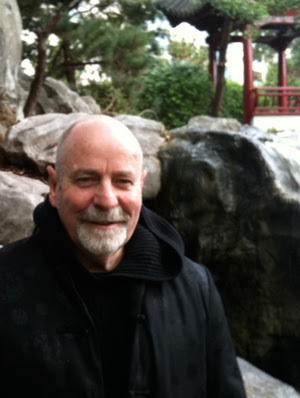 Glenn Terry, Artistic Director of the Darlinghurst Theatre Company, in his note in the program of this production calls SILENT NIGHT "wonderful new Australian writing", and that the Darlinghurst Theatre Company "seek out work that explore, discuss and engage with contemporary Australian and topical issues." SILENT NIGHT, is, unfortunately, none of those things. With all due respect. Could not agree more. What a waste of time. My partner and I left during the interval. Kudos to you for persevering. I can see now why they were offering free tickets to this load of tripe.